Peak Resorts Inc., which operates a number of U.S. ski resorts, on Tuesday reported a loss for the first quarter ended July 31 of $11.8 million, or (87) cents per share, missing analysts’ estimates by 4 cents. The company’s revenue of $7 million fell short of Wall Street expectations by $0.6 million. 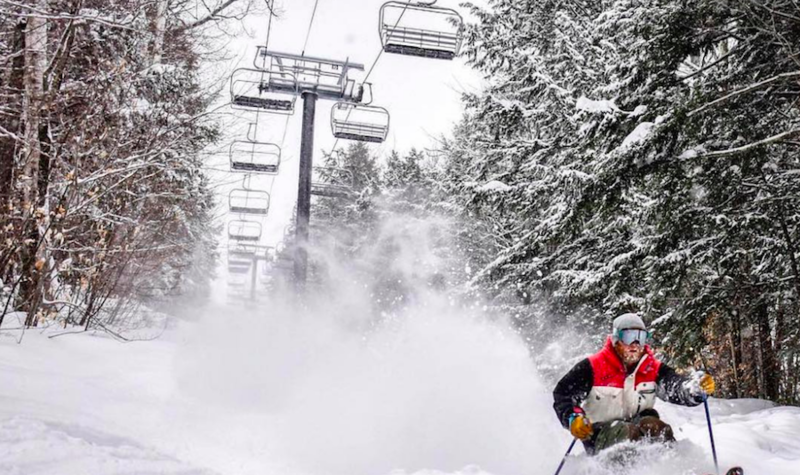 Peak Resorts’ revenue was down from $7.5 million in the prior year quarter as increased summer festival, banquet and event revenue at Mount Snow and Hunter Mountain partially offset the removal of the Attitash Hotel from operating results. Resort operating expenses in the fiscal 2019 first quarter rose 5.4 percent year over year to $14.3 million, driven by higher wages, higher power and utilities expense, and higher other expenses, offset by the removal of Attitash Hotel-related expenses as of May 1, 2018. General and administrative expenses in the fiscal 2019 first quarter were $1.3 million, essentially flat with the prior year quarter. Reported EBITDA for the first fiscal quarter of 2019 was a loss of $9.5 million compared to a loss of $8.3 million in the year-ago quarter. The increase in reported EBITDA loss on a year-over-year basis was driven by increased labor and other expenses across the business, partially offset by the removal of the Attitash Hotel from our operating results as of May 1, 2018. The increase in other expenses was largely related to maintenance projects undertaken during the seasonally slow summer months. Timothy D. Boyd, president and CEO, said, “We made good progress during the fiscal 2019 first quarter in preparing our resorts for the upcoming 2018/2019 ski season while benefiting from a full slate of summer events. Peak Resorts generated revenue of $7 million and continued construction on major capital projects at Mount Snow and Hunter Mountain. As we head into the fall, our entire team is eagerly awaiting the start of snowmaking and the shift to winter when we will welcome guests back to the mountains where we can show off our new lodge and expanded terrain. “Reported EBITDA loss in the fiscal 2019 first quarter of $9.5 million was driven by increased labor and other expenses offset by the removal of the Attitash Hotel from our operating results as of May 1, 2018. As noted last quarter, wage pressure continues in New York and Vermont, which we will look to offset with price increases this season. Our expenses were also impacted by a number of normal summer season maintenance projects completed in the fiscal 2019 first quarter instead of during the second quarter to allow our teams to concentrate on completing our major capital projects. “At Mount Snow, we are nearing completion of our new $22 million Carinthia Lodge which will add much-needed modern amenities at the base of the Carinthia face in time for the ski season. Our crews are working nonstop to finish construction of a 42,000-square-foot facility that will further enhance the guest experience at our flagship resort. The facility’s new food and beverage offerings, as well as its retail shop and rental facilities, will greatly improve guest circulation across the mountain this coming winter. As of July 31, 2018, the company had cash and cash equivalents of $10.1 million and total outstanding debt of $180.6 million, including $12.4 million drawn against its revolving line of credit and long-term debt of $165.8 million, net of debt issuance costs and current portion.